The goals keep coming for the Seattle Sounders. 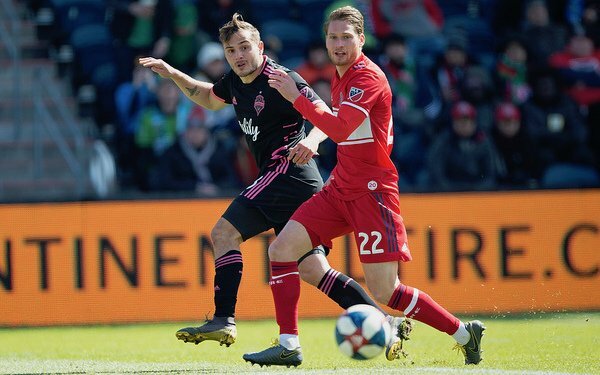 A 4-2 victory at Chicago on Saturday gave the Sounders three wins -- and 10 goals -- for their best start since their inaugural MLS season a decade ago. That's quite a change from last season when they opened with three shutout losses. 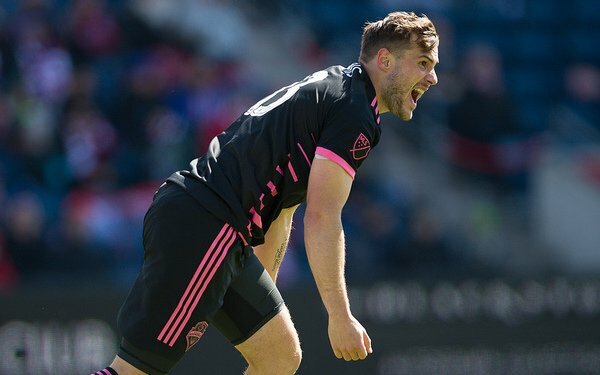 A big reason for the early success is the return of Jordan Morris, who missed the entire 2018 MLS season with a knee injury. He staked the Sounders to a 2-0 lead after 15 minutes, setting up Victor Rodriguez for the first goal and scoring the second himself. Morris will rejoin the national team in Orlando ahead of Thursday's match against Ecuador for his first call-up since September 2017. "When I rehabbing," he said, "that was a big focus to try get my way back on the national team." Seattle head coach Brian Schmetzer and U.S. national team coach Gregg Berhalter have talked about how to best use Morris on the wing. "Its something Gregg and and I have talked about and something we want to both help him both on the national team level and with his club team," said Schmetzer. "Although there are some differences there, there are similar movements that Gregg wants and that we want and we think is common sense. Jordan is fast and how do we utilize that speed? How does he become more of a thinker? The timing of his movement, where he moves when the ball is in different locations, that's what we are trying to fine-tune." Since his return, Morris has been playing on the right wing, while Rodriguez, the left winger, is healthy again after missing the first 10 games in 2018 due to a knee injury and being limited to 14 starts. "We've talked ad nauseum about having our wingers be goal-dangerous," added Schmetzer. "Jordan himself has said he wants to continue to be goal-dangerous playing out on the wing. Well, he's showing that he is goal-dangerous from that position and again Victor's quality everybody can see it." Raul Ruidiaz and Nicolas Lodeiro also scored against Chicago to give each of the Sounders' front four a goal. In 2018, Ruidiaz didn't arrive until July, after playing for Peru at the World Cup. He now has scored goals in eight straight games, including last season's six regular-season and playoff games. Last season, Lodeiro didn't get his first goal until June 9, after being a late cut from Uruguay's World Cup team. "There is a belief that this team can do really good things," said Morris after Saturday's game. Schmetzer has set as a goal leading from the front instead of chasing from the rare in late-season dashes to make the playoffs. "We’re trying to win every single game, because every single game matters," he said of the new playoff format that will reward the top seed with home-field advantage throughout the new single-elimination playoffs. "Why can’t this team be the best Seattle team ever?" Photos: Adam Eberhardt / Seattle Sounders FC.